Dissolve sugar in boiling water. Remove from heat. Put teabags in hot sugar water and place lid on top for at least an hour to seep. When sugar/tea mixture is cooled, pour into a glass container, add SCOBY*, cover with a towel, and let ferment at room temperature for about 7-10 days (dependent on variables listed below). Enjoy! *SCOBY stands for Symbiotic Colony of Bacteria and Yeast. It is also called a mother or mushroom. Available for purchase online or obtain from a friend. Note: Kombucha is GAPS legal when you let the SCOBY eat most of the sugar, making the kombucha taste slightly sour/vinegary. 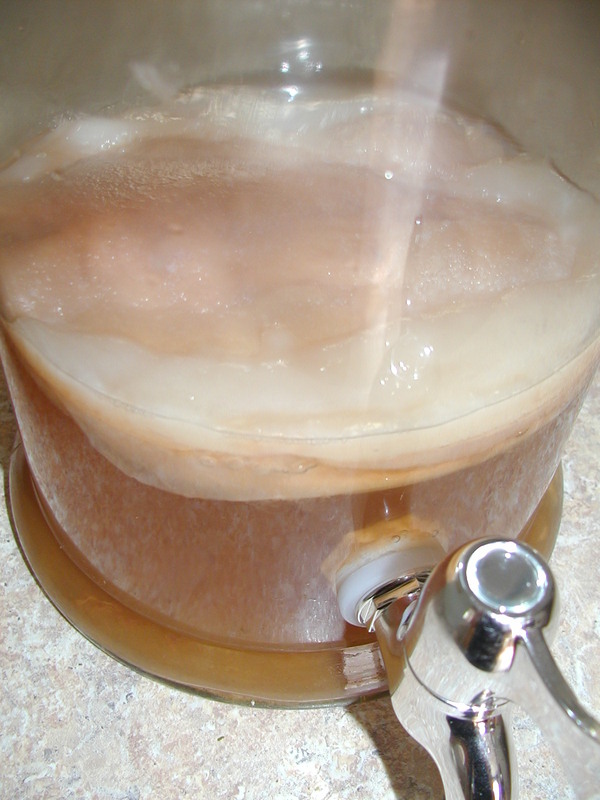 The amount of fermenting time varies by size of SCOBY, amount of sweetened tea (if altering recipe), and room temperature.